My name is Roy Westerman. I am a father, husband, and writer. On April 10th, 2015, I was devastated to witness the stillbirth of my full-term son Joshua. He was healthy throughout the pregnancy and then at the end, just days before his due date, it all fell apart due to a knot in his umbilical cord. Such a pointless loss of a life so filled with potential. I was filled with questions, rage, and sorrow. The hospital allowed my wife and I to stay with my son as long as we needed and in that time I tried to do as many fatherly things as I could. I bathed him, I watched cartoons, and I read him stories. In that very personal and intimate time with my son, I began to think about the things I could never share with him. As an avid comic book fan, I knew I would never be able to share the kind of joy with my own son. From this loss, I began to work on a project with an artist friend of mine which started small but grew into something larger. 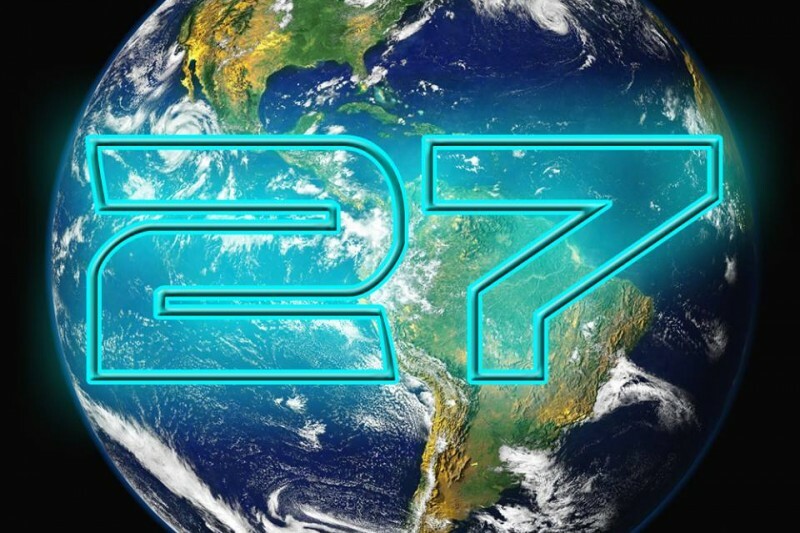 We call it the Earth-27 Project. I have started this GoFundMe campaign to help my artist friend Phil Cho and I bring my unique storytelling approach to life in memory of my son, Joshua Dean Westerman. Money generated from this campaign will be used to further fund this project (of which I have financed entirely on my own up to this point) and perhaps extend it beyond my original vision. All the funds from this campaign (and then some more from myself) will go to keeping this project going for as long as I and my artist are available or until this project reaches its natural conclusion. I will not be making any profit from this endeavor and all funds will be spent to further this project in one form or another. Any donations you make to this project will be just that, donations. As such I ask that you should only donate if you believe in this project and want to see it grow. This campaign is an open-ended campaign and as such, if you would like to donate weekly, bi-weekly, monthly, bi-monthly, quarterly, whateverly, you are welcome to do so. I would greatly appreciate any contribution to this project as it has been a labor of love and I feel a fitting tribute to my son's memory. It has been a rewarding experience to meld so many stories and characters into a cohesive whole. I hope I may continue to work on it for a long time to come. Hawkboy and Hawkgirl have been funded! In preparation for Season Two, we have new reward levels! Certain characters are much cheaper! Check it out! New reward levels! New groups! Check it out! 3 full character slots open for Wave 16. Pledge today! This is a summertime special price for Outsiders until the start of Season 4. Select a character from the Waiting Room to be given 'express' status and become a special bonus character with earlier release status. Select a character from the Enhancement portion of the Waiting Room to be given an overhaul and/or redesign. Sponsor one designated Character Portrait from 'Help Wanted' section of the Waiting Room. Sponsor three portraits from the waiting room. Sponsor an entire week's releases! That's five releases!